This article was peer reviewed by Wern Ancheta. Thanks to all of SitePoint’s peer reviewers for making SitePoint content the best it can be! I’ll assume you already have a fresh Laravel application instance up and running on your machine, so you can see the code in action along the way. If you need a good development environment, you’re free to use Homestead Improved. Before getting into OAuth authentication, let’s set up Laravel’s standard form based authentication. To do this, we run the make:auth artisan command, which installs all the necessary views as well as the required authentication endpoints. Note We also need to run php artisan migrate to make sure the users table is created. Now, if we head over to /login, we should see a nice Bootstrap-styled login page that works. Once installed, Socialite’s service provider and facade should be registered in config/app.php – just like with any other Laravel package. Socialite is registered as a lazy-loaded singleton service inside the service container. 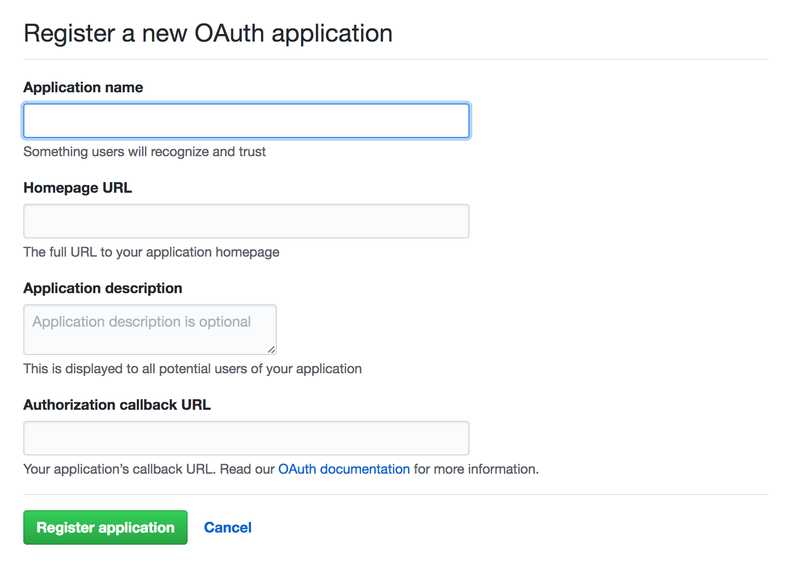 To use any provider, we need to register an OAuth application on that provider platform. In return, we’ll be given a pair of client ID and client secret keys as our credentials for interacting with the provider’s API. The actual key values are put into the .env file in the project’s root directory. Since the users table structure hasn’t been designed to integrate social authentications, we first need to do a few tweaks there. Usually, when users take the social authentication approach, they don’t have to choose a password unless we ask them to do so (after OAuth authorization – please don’t do that). Apart from that, the user may not have an email address associated with the respective OAuth provider. Hence, we need to make email and password fields nullable. To modify the schema, we use Laravel’s schema builder. Before modifying the fields in the existing tables, we need to have doctrine/dbal package installed. provider_name is the name of the provider while provider_id is the user’s ID on the provider platform. Additionally, we make provider_name and provider_id mass assignable, by adding them to the $fillable array in LinkedSocialAccounts. This allows us to use the create() method when associating a social account with the user. Now, we create the controller under the Auth namespace. We need two actions in our controller class, one for redirecting the user to the OAuth provider and another for receiving the callback from the provider. In the preceding code, redirectToProvider() redirects the user to the respective authorization endpoint – by calling the provider’s redirect() method. Since the behavior of OAuth providers isn’t predictable at all times, we use a try/catch block to take care of unexpected situations. If everything goes as expected without an exception, the user object (an instance of Laravel\Socialite\Contracts\User) is retrieved from the provider. This object exposes a few getter methods for retrieving the user’s information – including name, email, access token, etc. You can find the available methods in the documentation. Next, we retrieve the local user object (residing in our users table) or create one if it doesn’t exist yet. To do this, we call findOrCreate() from a helper class called SocialAccountsService (this class is injected as an argument into handleProviderCallback() method). After retrieving the user object, we log the user in, redirecting them to the dashboard page. Now, let’s create our helper class SocialAccountService.php. This class has only one job and one method for creating or obtaining a local user and associating a social account with it. If no social account is found, either the user does not exist or the user hasn’t linked any social accounts yet. With that in mind, we search the users table by email, because the user may have registered into our system via the registration form. If no user is found, we create a new user entry and associate the current social account with it. In the above routes, provider is specified as a route parameter. This allows us to reuse these two routes for other providers as well. To test out what we’ve built, let’s add Github as our social authentication (login) option. First, we need to register a new OAuth application on Github. Application Name should be a descriptive name for our application. This is what the users will see when redirected to Github to authorize our application. Homepage URL is our website’s URL. It can be http://localhost:8000 or any other valid domain. Authorization Callback URL is an endpoint on our website to which the user is redirected after the authorization is completed. After creating the application, we’re redirected to the edit page where we can find (and copy) our keys. Although we can directly put the credentials and the callback URL inside config/services.php, we keep them in our application’s .env file (and automatically load them from services.php file using getenv()). This is useful when we want to change the values in our production environment without touching the code. The last piece of the puzzle is adding the Github link to the login page. Open resources/views/auth/login.blade.php and put the following code in the proper place. 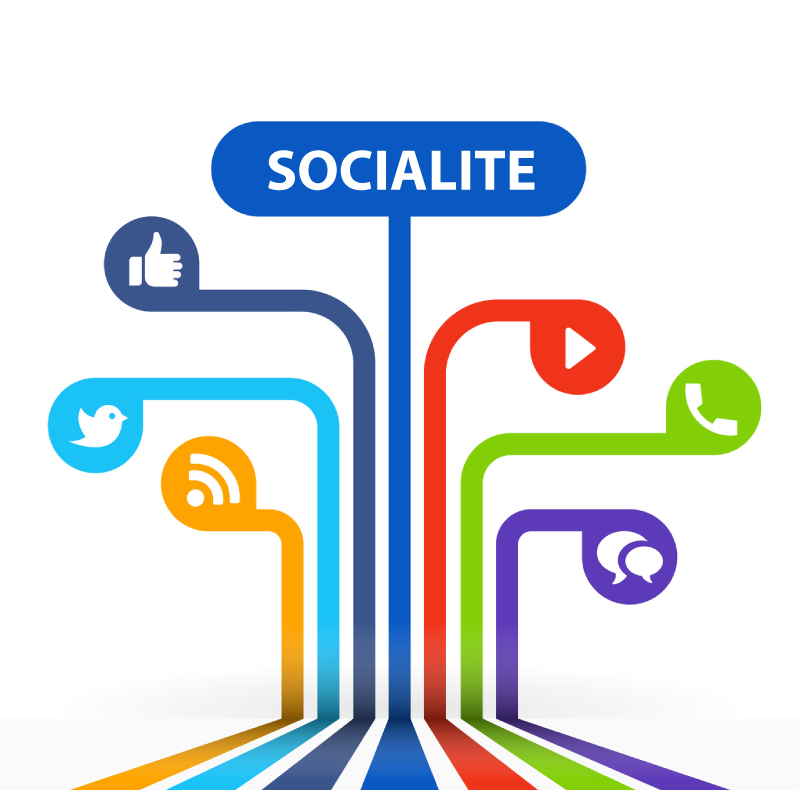 Socialite Providers is a community-driven project providing plenty of unofficial providers for Socialite. Each provider is installed as an independent package (via Composer). Providers use the Manager package, developed as part of the Socialite Providers project and installed with each provider as a dependency, to register themselves as Socialite providers. Note: service providers and socialite providers are two different concepts with similar names and should not be confused with each other. A service provider is a class for registering a service inside Laravel’s service container, while Socialite providers (or simply providers) are classes for interacting with different OAuth providers. Each provider from the collection comes with an event listener, which needs to be added to the app/Provider/EventServiceProvider class, to listen to the SocialiteWasCalled event. Whenever Socialite is accessed, the SocialiteWasCalled event is triggered. Consequently, all providers listening to this event will register themselves with Socialite (implementing the observer pattern). The above example registers a provider for authenticating via Deezer. Note: Standard Socialite providers can still be used unless we override them with a provider of the same name. As an example, let’s add Spotify as a login option. First, we head over to Socialite Providers to find the provider for Spotify – in the left sidebar. Again, we need to register an app on Spotify’s developer platform to obtain our credentials. Once we get the keys, we add them to our settings. The Manager package makes it super easy to configure settings for new providers. Unlike the standard providers, we don’t have to add an entry in config/services.php per provider. Instead, we only add the settings to our application’s .env file – thanks to the Manager’s Config Retriever helper class. We can reuse the routes we defined in the previous example (authentication via Github) or create new routes with new controllers and logic. We can easily create our own provider if we can’t find a certain provider in the Socialite Providers collection. A provider class contains all the logic for handling OAuth related operations. If you want to support OAuth 1.0 as well, you need to implement a separate provider class for it. Each provider class extends the abstract class Laravel\Socialite\Two\AbstractProvider. This abstract class contains a few concrete methods for handling generic OAuth 2.0 operations – from formatting scopes to getting and handling access tokens. We just need to extends this abstract class and implement its abstract methods. Additionally, we need to implement ProviderInterface, which specifies two methods to implement, redirect() and user(). 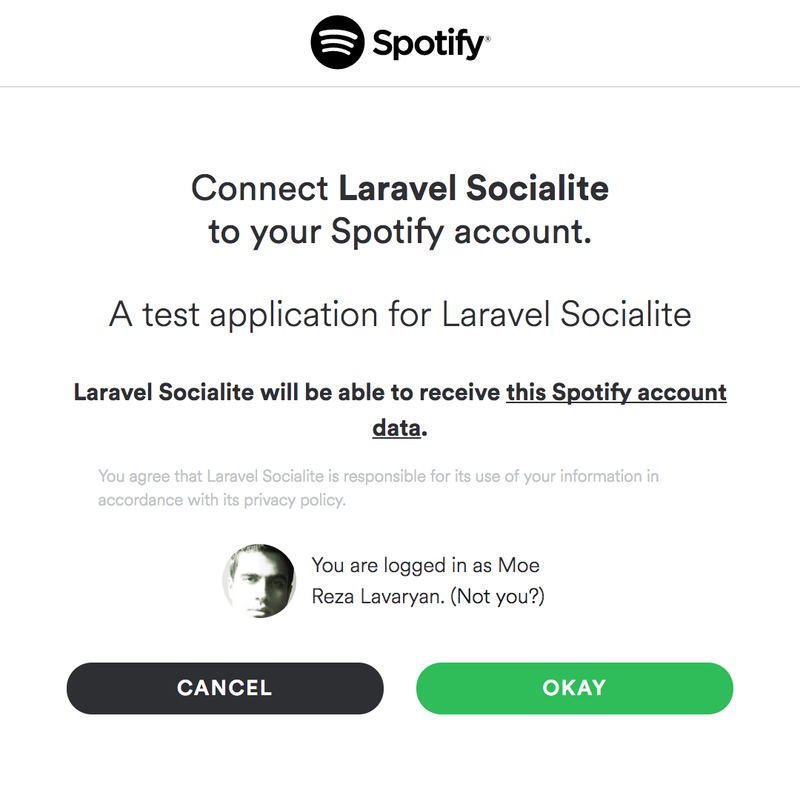 As you probably remember from the previous section, redirect() redirects users to the OAuth provider’s authorization page, while user() returns an instance of Laravel\Socialite\Contracts\User – containing a user’s information from the provider platform. The provider’s event listener is a class, which registers the provider as a Socialite provider, whenever SocialiteWasCalled event is triggered. The event SocialiteWasCalled has a method extendSocialite(), which accepts the provider’s class as an argument and registers it with Socialite. 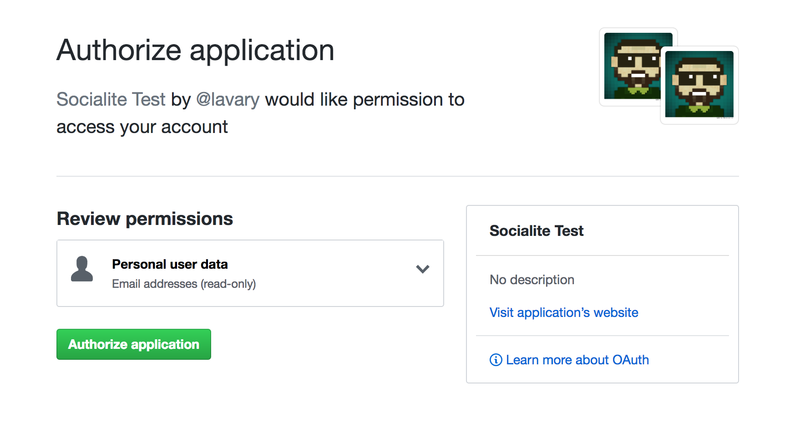 Social authentication has never been easier when using Laravel. We learned how to authenticate our users using a wide array of OAuth providers. We also learned how to create our own provider. Other than the provider’s name and provider ID, you can store additional social information in the users table, including avatars, access tokens, refresh tokens (if any), just to name a few. You can also interact with the provider’s API or even take some actions on behalf of the user. Of course, only if the user has given you the permission to do so. The full code for this tutorial is available on Github, in case you want to try it for yourself. If you have any questions on the topic or if we’ve missed anything, let us know in the comments below!